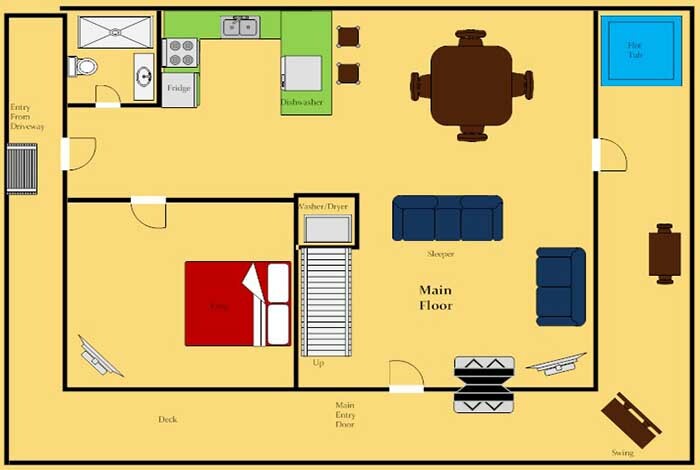 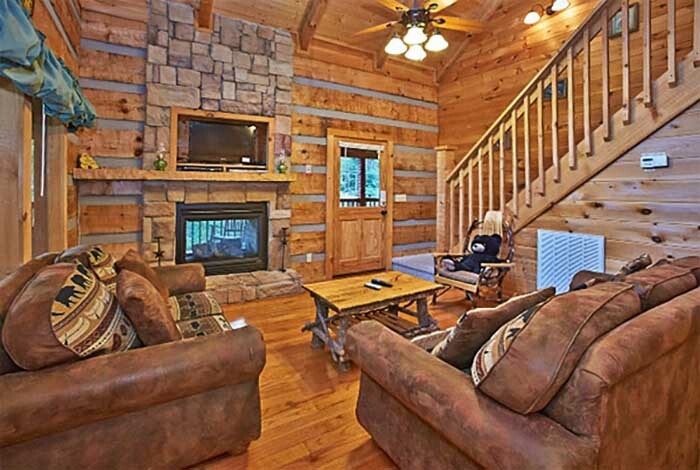 This beautiful private 2 bedroom, 2 bathroom is the perfect place to enjoy all the peace and quiet the Smoky Mountains have to offer while only minutes from all the Pigeon Forge and Gatlinburg attractions. 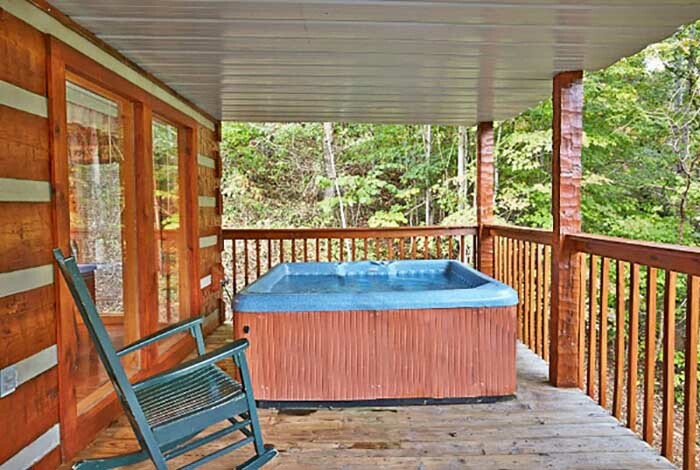 After your long day come back and enjoy the hot tub and jacuzzi, or relax and read a book on the deck in the beautiful hand made rocking chairs or porch swing. 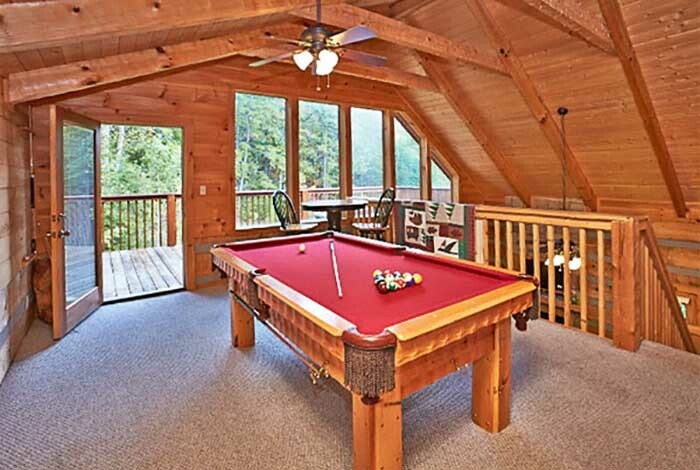 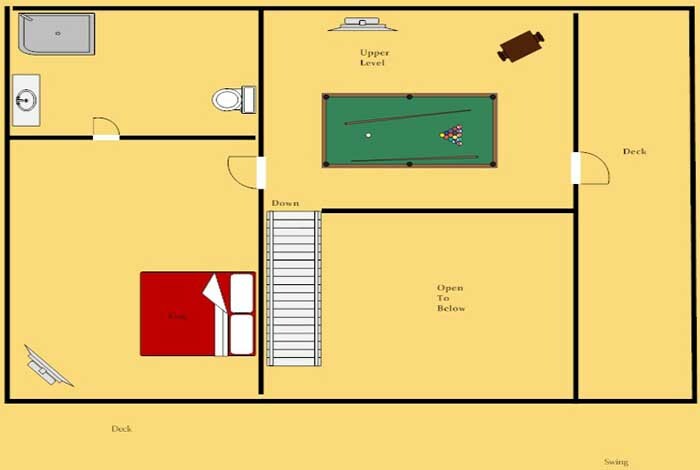 If Gatlinburg and Pigeon Forge didn't tire out the kids, then send them upstairs to the loft for a friendly game of pool while the adults enjoy the beauty of the serene wooded views from the upper level observation deck. 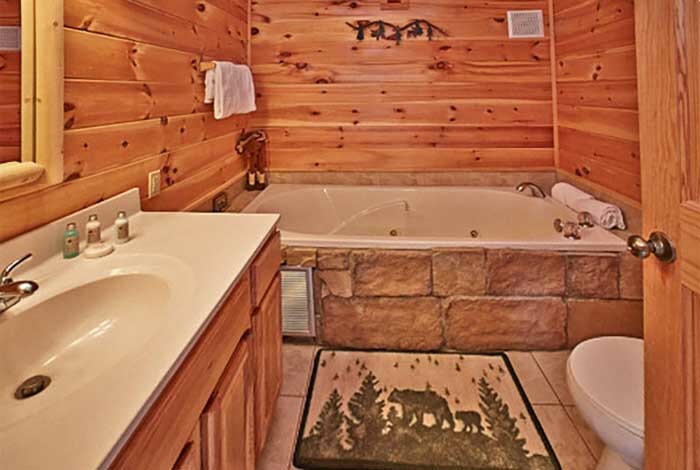 Black Bear Hideaway offers something everyone in your family will love. 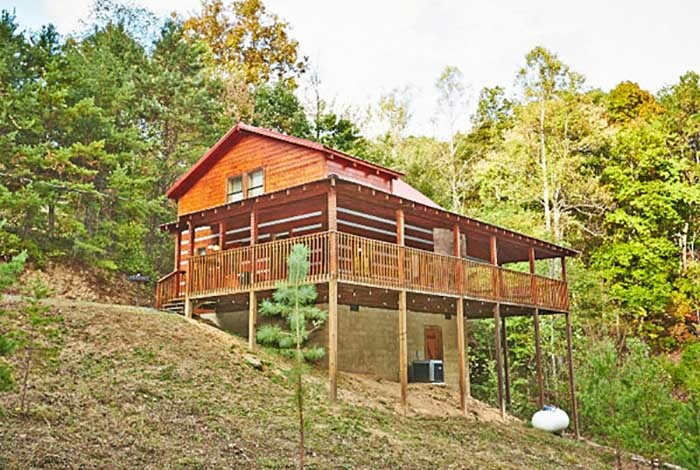 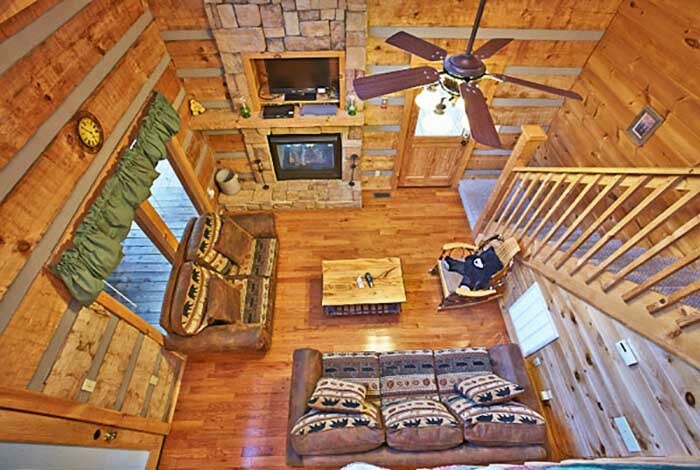 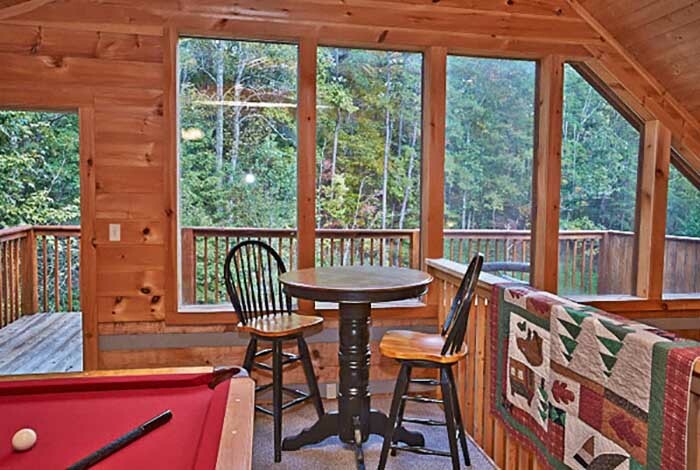 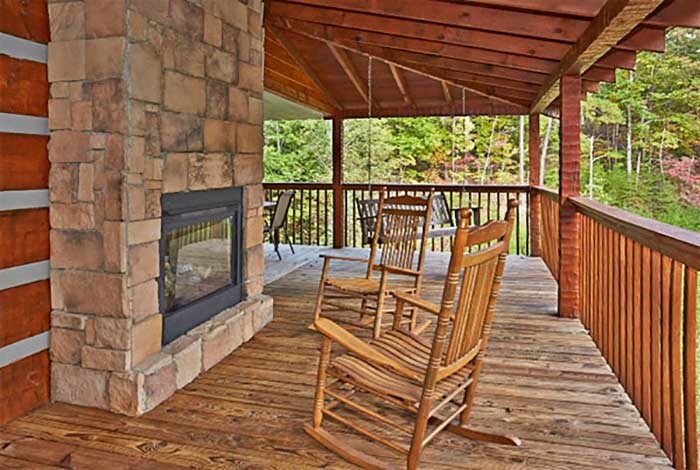 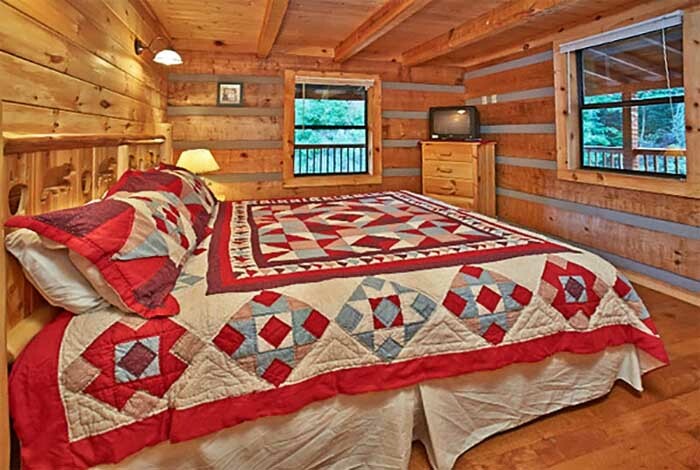 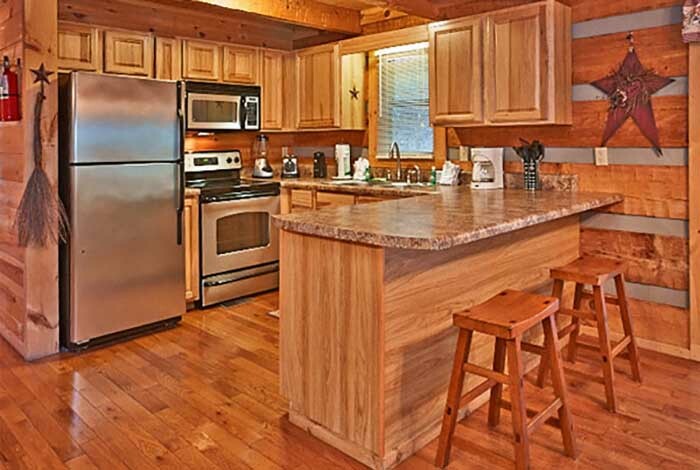 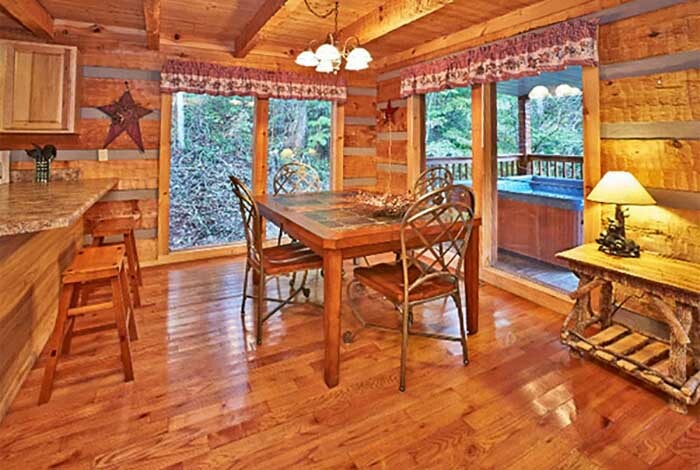 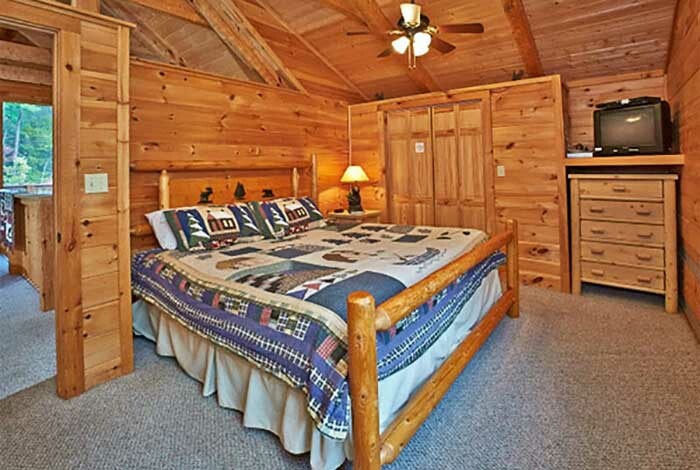 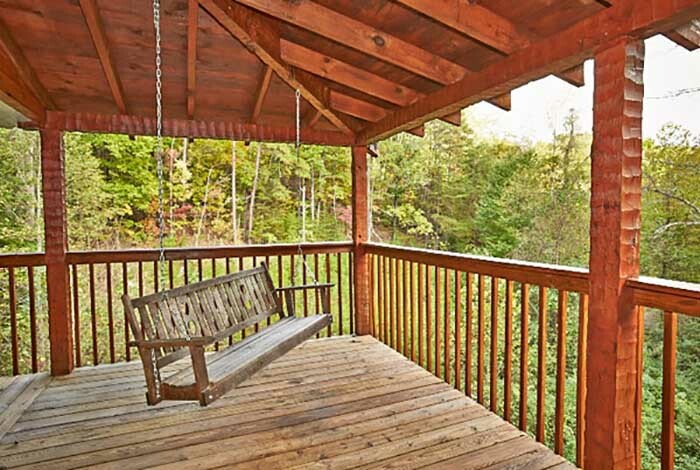 Make this Pigeon Forge cabin the perfect cabin for your Smoky Mountain getaway.